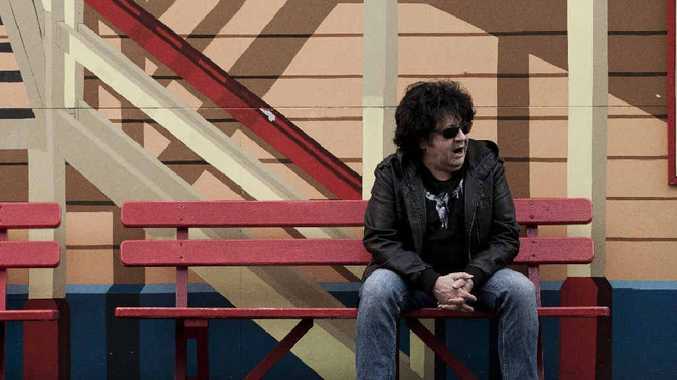 LAID back and reminiscing, long-time music sensation Richard Clapton shares tales of party life and the 80s music scene in his upcoming book of memoirs. Many know him by successes like Deep Water and Girls On The Avenue, but to Richard, his most recent work on his album Harlequin Nights is an illustration of his personal progression. "It stands to logical reason," he said from his Sydney home. "The longer you do your job, the better you'll become." Richard said he could identify with Bob Dylan, who once mentioned in an article that he didn't believe he could write 60s songs like Just Like A Woman again. And for Richard, a similar concept plays out with hits like Deep Water and Lucky Country. "People call them timeless. But they're sort of time capsules of 1977 for me. I know what impact they had on people." He said strangely enough, some admitted that they had conceived their children to those songs - a thought that immediately made him laugh. "If I listen to Deep Water now - and because I'm writing my book of memoirs - I have to go back to that period. It's like a little home movie when I get them out - vivid and colourful for me." Richard said he viewed those songs with respect, especially now as his audience spanned so many generations. "I think it's great the 18-25-year-olds are into Deep Water," he said. But in comparison to his early days of fame, things are certainly different for this experienced rock legend. 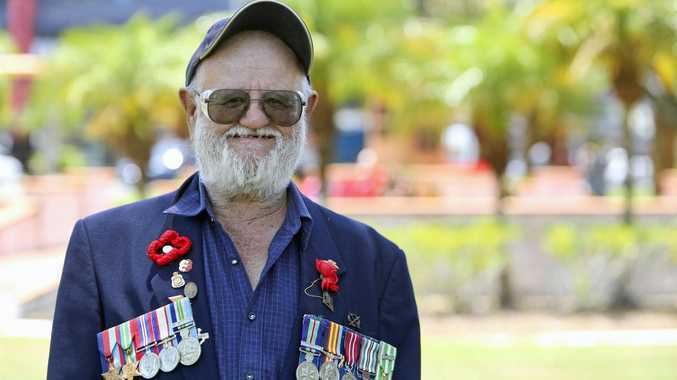 "The one common denominator, to be with the elite musos in the 70s, was you just had to love music," he said. "You ate, slept and breathed music - that's all you wanted to do. "Now the only motivation seems to be the rich and famous. It's not music. It's not treating music as a lifetime calling, like for me and other older Australian musicians." Richard Clapton - Deep Water : Richard Clapton performing Deep Water at a 40th anniversary concert at the State Theatre in Sydney on November 2, 2013. Getting into music for the purest reasons was what Richard said helped you survive. "A career like this is filled with highs and lows. I got to a point in the 80s where I was in the gossip and society pages. "But it's not about climbing to the top of the mountain - the hardest thing is coming back down." Last year, Richard experienced one of those lows first-hand. With festivals cancelled and finances tough, he said it had been a pretty crap 2013. "But it keeps you grounded and humble - I'm equipped to cope for that," he said in good spirits. And now, 2014 is already looking quite spectacular for the legend as he prepares for various festival gigs - Agnes Blues and Roots for one - as well as his book of memoirs which is expected to be released on September 1. The memoir begins from the late 60s and continues to 1990, as he was forced to keep the word limit down. "I got to 100,000 words and still hadn't got up to 1990," he said. "I was advised that 100,000 words for a muso memoir was slightly long." And hence the need to keep his story to the highlights only. "It starts with me first meeting the Rolling Stones when I was a kid," he said. And from there it continues to touch on intrigue, excitement and some rather PG related stories. Divorced but with twin daughters - Saskia and Montana - Richard even had his little ladies sanction the book. "Because there's a lot of partying going on," he explained. "People want to know what we were doing behind closed doors and I wanted to make sure my daughters were okay with what was in the book." Funnily enough his daughters came back to him with a simple reply: "Yeah whatever - don't think we didn't know you took drugs." Richard Clapton - Girls On The Avenue (1975) : Richard Clapton's promo-video for the hit single Girls On The Avenue (February, 1975), taken from the 1975 album Girls On The Avenue. Note: This was Richard Clapton's first hit single, reaching number two on the Australian National Chart. But the music and hype were only part of Richard's early years of fame, and he said for his daughters it was "this golden age of wonder". Even in his party days in Sydney, Richard said there had been none of the violence the city is now experiencing. "Australia was an amazing place in the 80s. Now, young people can't go out and have a drink without fearing for their lives." With his fascinating story, Richard hopes to open the eyes of people for what the Australian music industry used to be. He may even be planning to save the last 25 years of his life for book number two. And to those up-and-coming artists, Richard leaves some wise advice - guidance that he even gives his own daughter, whose blood runs with musical talent and flair. "Please don't use music as a vehicle to becoming rich and famous. "Unfortunately there are some casualties out there already because they can't cope. They've had their egos pumped to expectations. "For me - it's the best job in the world, but I can see how it can be the worst job in the world too."